Lovely ground-level condo, containing 2 bedrooms with a loft, is close to the slopes and minutes from the pool. Full kitchen with utensils is provided, and includes dining area for six plus seating for three at the breakfast bar. Wood burning fireplace with free wood for all stays less than 30 days. The ground level master features a queen bed and cable TV, a double bed in the second bedroom upstairs while the loft offers a futon and the living room a sleeper sofa for additional sleeping. 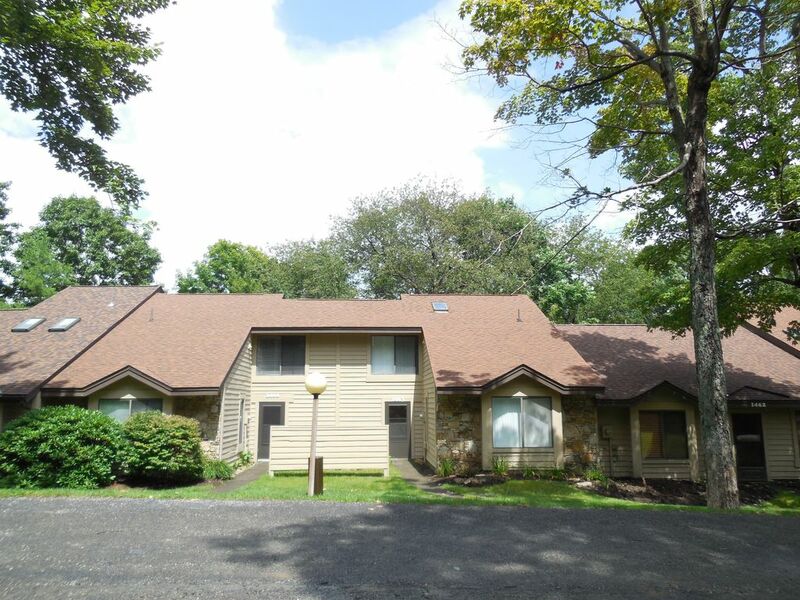 Fireplace with free firewood proved for stays less than 30 days, flat screen TV with cable in living room, DVD player, Microwave, Dishwasher, Washer/Dryer, coffee maker, large deck with charcoal grill and patio furniture and much more! Weekly rates are based on Friday to Friday or Sunday to Sunday stays. Split weekends incur additional fees. Holiday time frames are subject to three night minimums and higher rates. Higher rates during high season, mid-Dec through mid-Mar. Long term rentals available, call for details. Cleaning, linens and towels included in above costs.